Today’s American Tree Sparrow was a new Sitka area bird for me. I probably would not have seen it, except I stopped to watch two Golden-crowned Sparrows feeding along Moller Track. They went up into the trees at the edge of the track and as I waited, they appeared again with a third bird, the American Tree Sparrow. 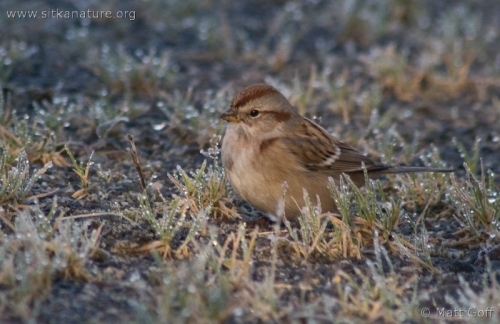 For more photos and additional information about American Tree Sparrows in Sitka, see, Sitka Birds: American Tree Sparrow. 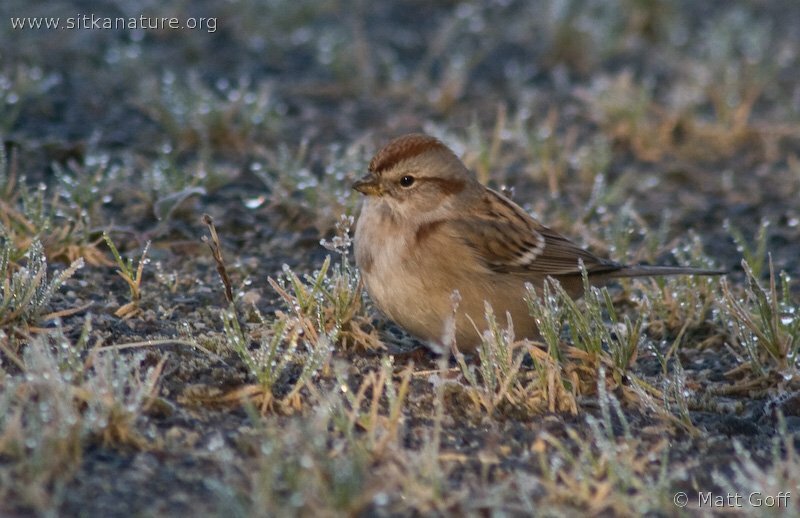 This entry was posted in birds and tagged Alaska, American Tree Sparrow, birds, Golden-crowned Sparrow, Moller Park, Sitka, Sparrows. Bookmark the permalink.